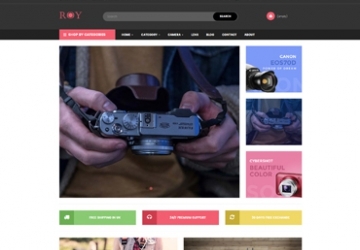 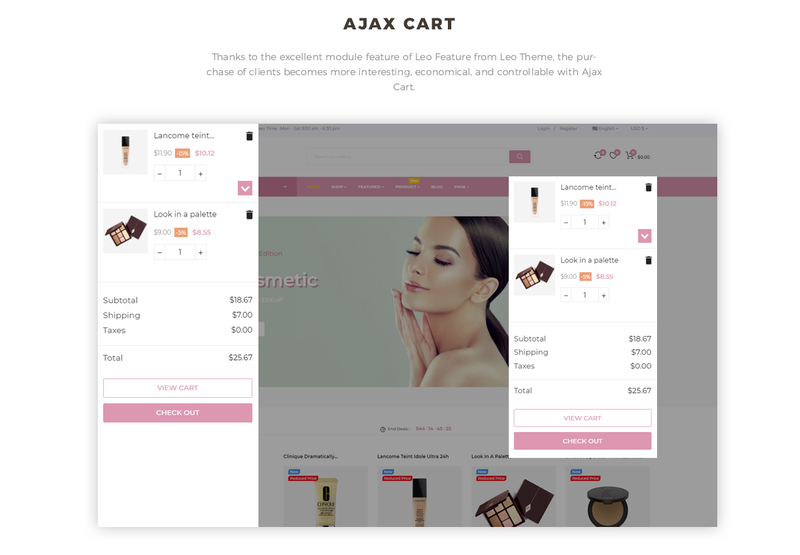 Leo Cosm for Cosmetics online store is a fantastic integration of powerful Prestashop modules. 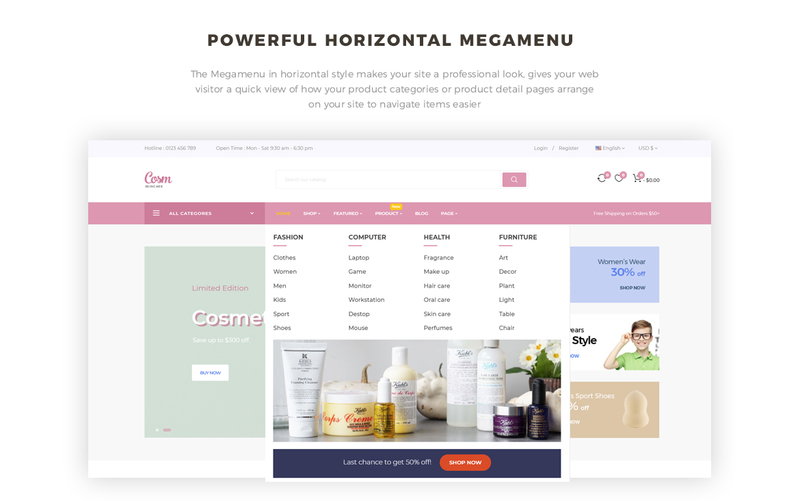 It is to mention, Leo Megamenu in horizontal style on the top center, which will improve navigation for your site, make it easier for your customers to find their wanted products. 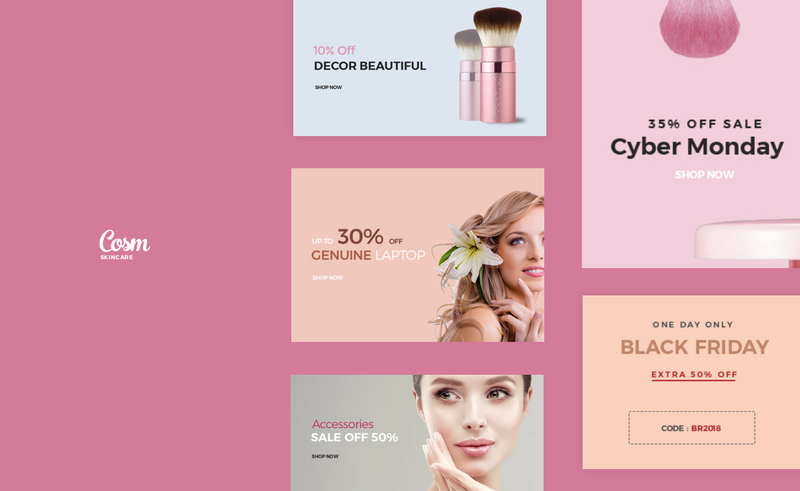 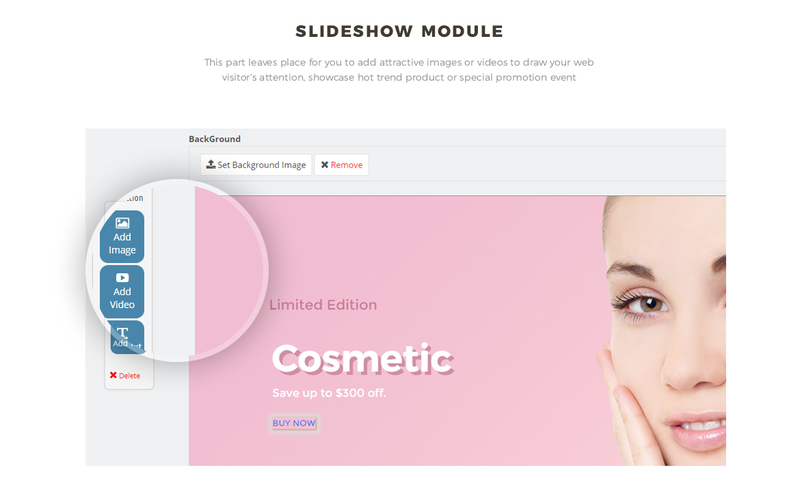 What is more, Leo Slideshow makes it possible for you to showcase the hottest products or special promotion event to approach your web-visitor right at the first site accessing your store. 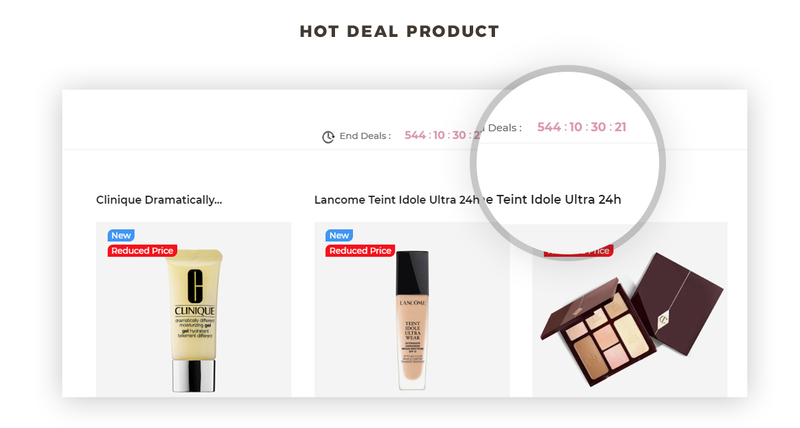 One more interesting feature of this beauty template is the Countdown widget that aims to boost sales in a certain time. 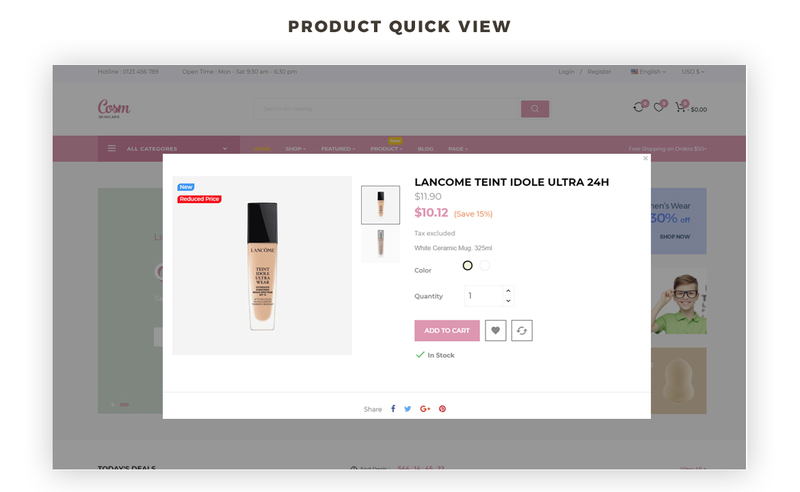 Leo Cosm is also outstanding with module features like Add to Cart, Add to Wishlist, Add to Compare, Quickview. 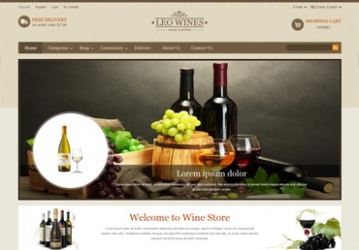 All of these handy functions will make the online purchase of your clients more convenient and interesting. 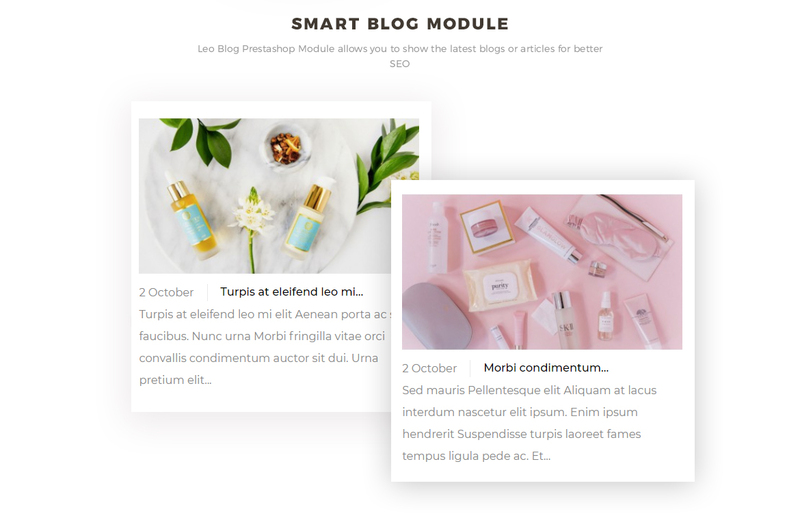 Plus, the smart Blog module allows you to manage blog posts, comments with ease, you can build a strong relationship with your customer by useful blog posts. 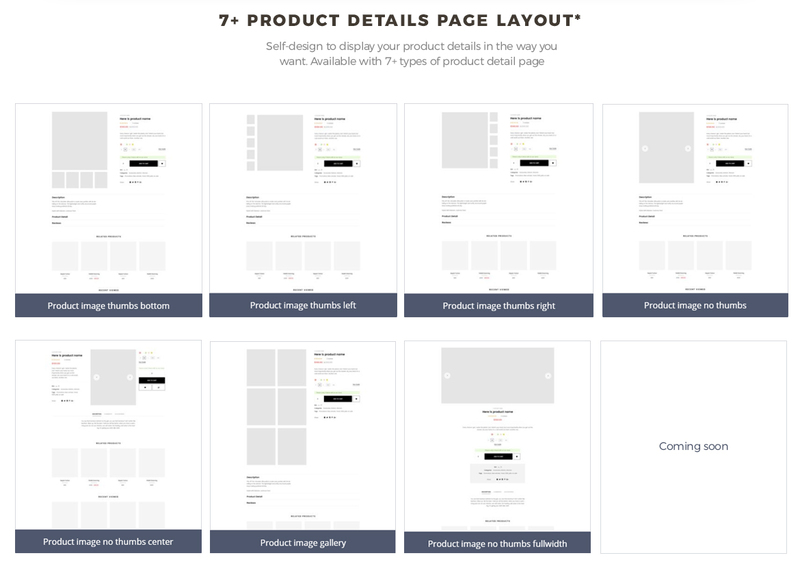 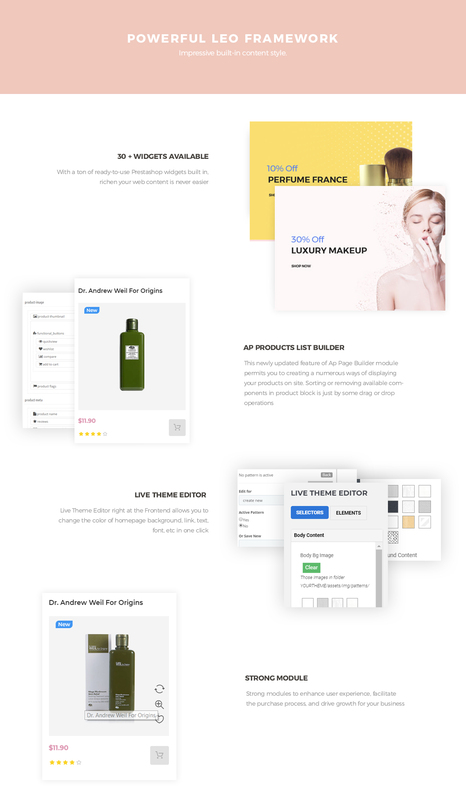 Last but not least, Leo Cosm supports 7+ layouts for product details pages, you are free to choose the most visual layout to show details of your products to your client. 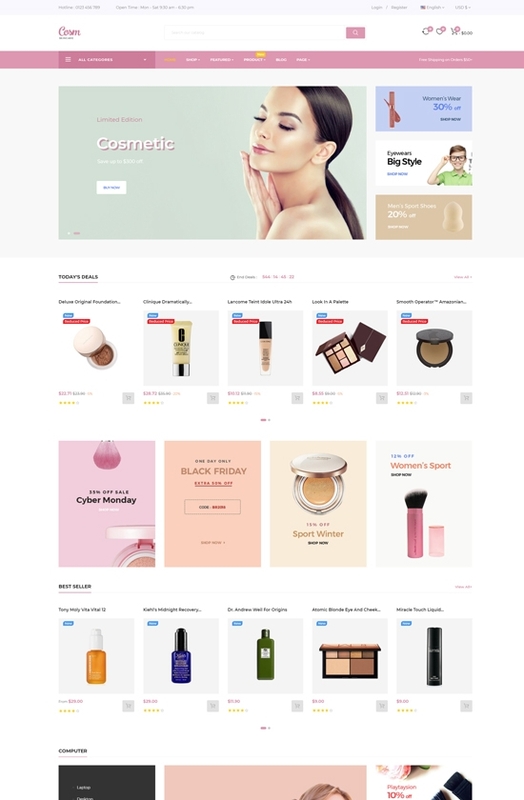 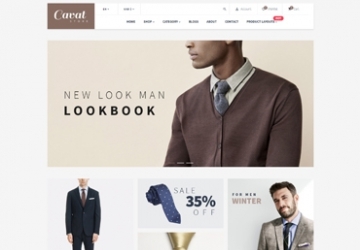 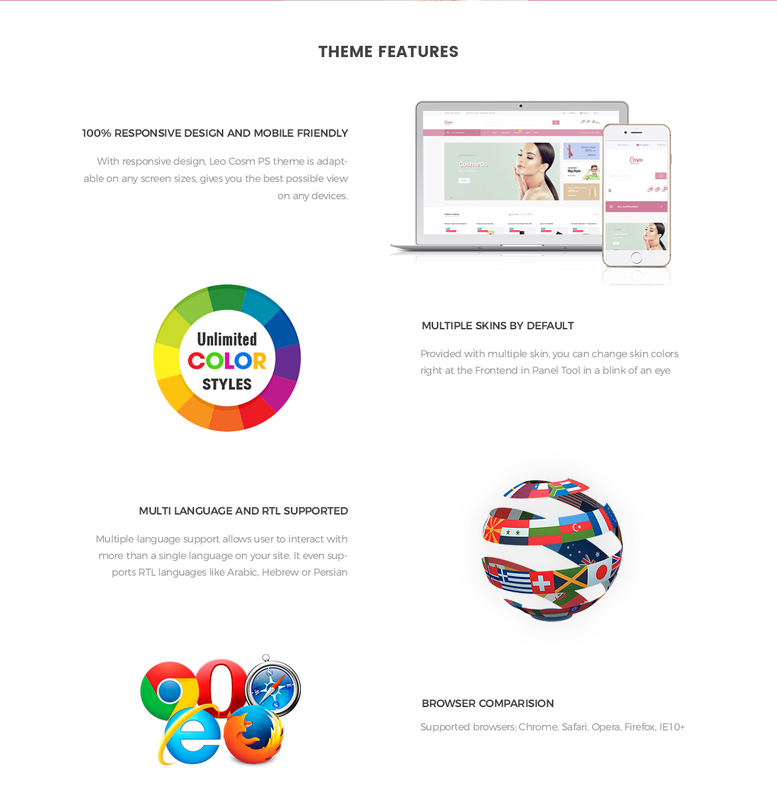 What makes Leo Cosm Responsive Prestashop Theme special?